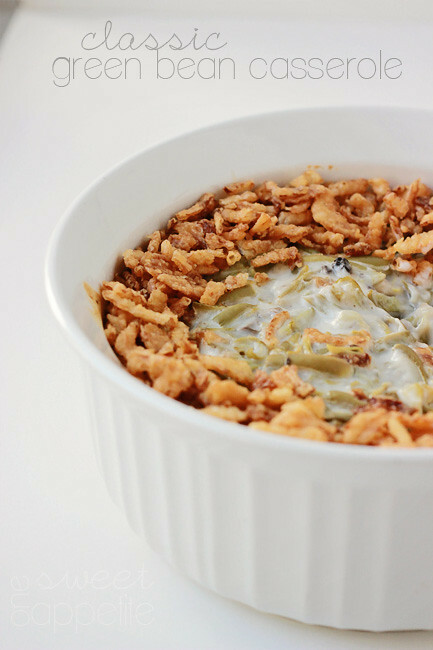 You can not go wrong with a classic green bean casserole recipe filled with canned or fresh green beans, mushroom soup, and topped with fried onions. Try this Thanksgiving recipe for your next gathering! I truly feel that green bean casserole is the most underrated recipe of Thanksgiving. It combines my absolute favorite veggie with crispy onions. It also happens to be incredibly easy. 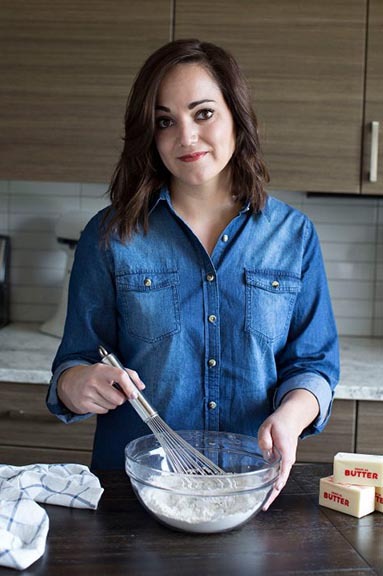 It takes a whopping 5 minutes to prep and an additional 25 minutes to bake. You can even mix it up the night before! When you are ready to bake pull it out of the refrigerator and sprinkle with onions before transferring to the oven. Gather your ingredients. We like to use canned green beans for the ease but you can easily opt for a fresh cooked version! Mix together green beans, mushroom soup, milk, and a few seasonings. 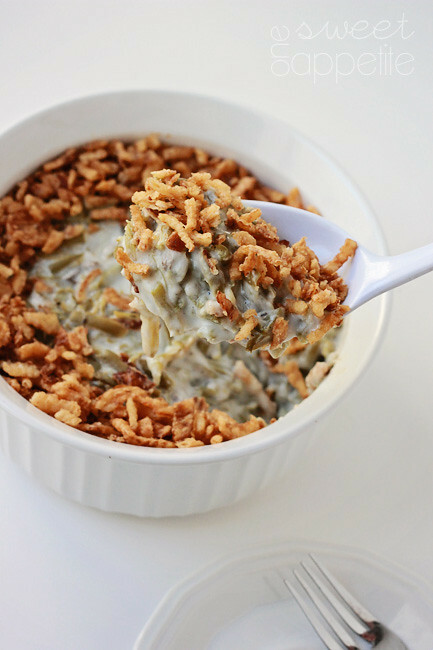 Pour into a casserole dish, top with crispy onions, and bake! Like this recipe? You will love my Slow Cooker Stuffing, Slow Cooker Pumpkin Pie, and Leftover Thanksgiving Stuffed Shells! Mix together the soup, milk, soy sauce, pepper, beans, and 2/3 cups of onions in a casserole bowl. Bake for 25 minutes or until the bean mixture is hot and bubbly. Sprinkle with the remaining onions and bake an additional five minutes or until the onions are golden. I’m a recent convert to the green bean casserole concept. My opinion: ANYTHING with those french fried onions on it is delicious. Just saying. Thanks for sharing! Mwa!